Yes thats right ladies and gentlemen, I am once again offering up my humble little blog for you to advertise your selves for nothing, nada, zip! Well here we are again, how fast does the month go?!?! Anywho, having had such a lovely little selection of sponsors for this December who are currently gracing my side bar I have decided that this whole advertising for free malarky should extend beyond this year. 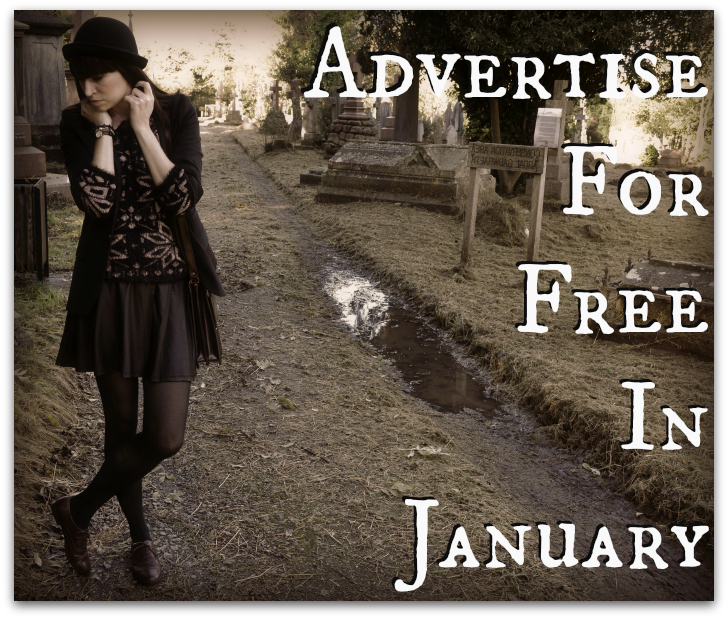 Therefore I am calling for all those who wish to advertise with Fragile Bird for free this coming January. You will be on my side bar for this new year, exciting huh?!? So 8 spaces available. Depending on the interest shown I will allocate the spaces as I feel necessary based on how much I feel your blog is suitable to my own and just personal preference really. Hell it's free, don't complain! Your ad will run from 01Jan2014 to 31Jan2014 and every sponsor will be part of a #ff every week of this month. Additionally, your blog will be featured on a blog post providing any some information your good selves in my 'Sponsor Appreciation' post. So with out further ado, if your interested in advertising here, please leave your name, web address and email below and I will contact you for further information. Or alternatively you can contact me on Fragilebird@live.com. Please contact me before 22nd December, following which I will email you for the necessary information. Just a heads up, my giveaway for the art prints is now up and running until next Saturday ! Would love to be featured next month! !